Tehran, June 7, IRNA-The world's biggest clock was installed at Abbasabad district of Tehran on Tuesday in a ceremony attended by a number of urban officials. 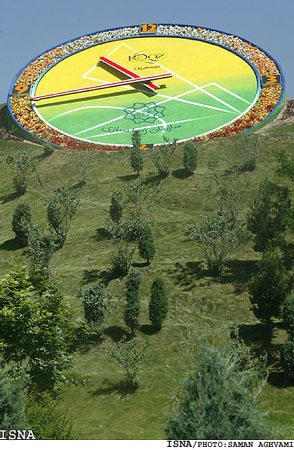 `Flower Clock' which measures 15 meters in diameter and weighs 750 kgs was installed at a cost of six hundred million rials. 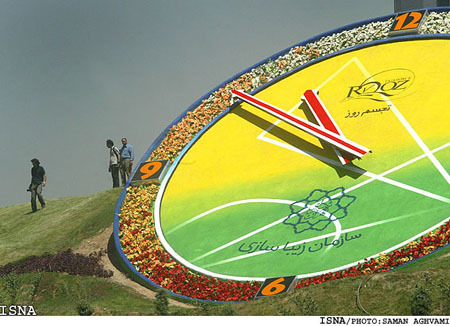 The clock was built by the private sector in cooperation with Tehran Municipality in two years. The private sector is entitled to use necessary facilities in the vicinity to publicize the `Flower Clock' for three years to recoup the expenses incurred in its design and construction. The clock is equipped with separate motors to set its triple hands in motion. It is designed to operate with minimum error and is automatically set up by a computerized system. It was built for the open air and can withstand all weather conditions such as wind, rain and snow. The overall cost of the project was 500 million rials. Speaking at the ceremony, deputy head of Tehran Municipality for urban affairs, Mohammad Mohammadizadeh, referred to `Flower Clock' as a symbol of planning, discipline and expertise in rare design. Turning to safeguarding and reviving the historical relics of the megacity of Tehran as the first step towards its beautification, he cited some examples, including restoration of a number of historical squares such as Hassan-Abad, Marvi Alley and Saf Street among others. Big Ben in the British capital of London with a 47-year history has been the biggest world clock. 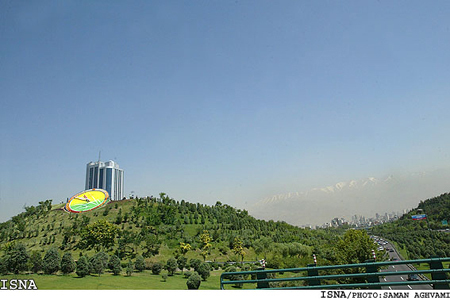 However, the diameter of the `Flower Clock' installed in Tehran is twice that of London's `Big Ben'.